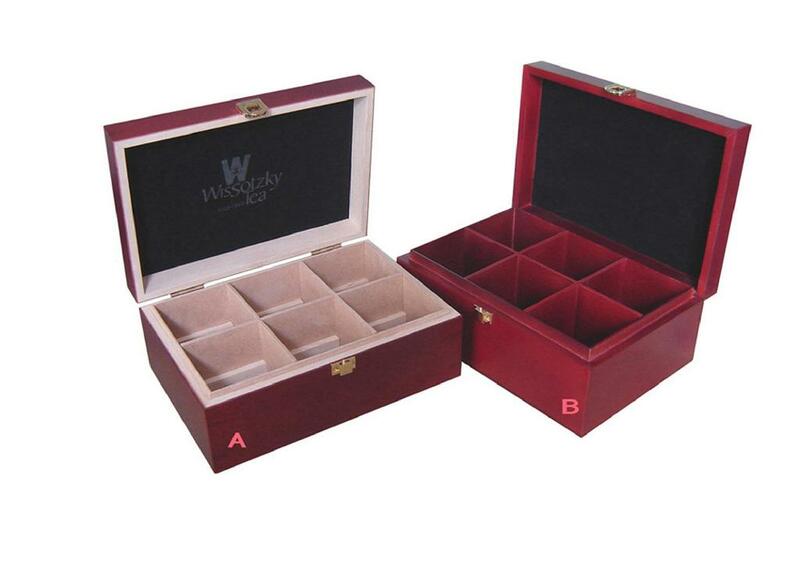 These high quality wooden tea boxes are made of solid poplar wood and are very popular as well. Inside we have 6 compartments that can be lined with the felt color of your choice. Each tea bag box is richly stained to bring out the quality of the wood. We can also hot stamp or silk screen your company logo if you'd like. DIMENSIONS: 232mm x 161mm x 93mm. Extreme Enterprise is a first class manufacturer of high quality custom wooden tea bags boxes. We are committed to providing you with an excellent product that will exceed your expectations, excellent customer service and a guaranteed price that will beat all our competitors. Utilizing our skilled craftsmen, we pride ourselves in manufacturing the highest quality custom made boxes available in China.